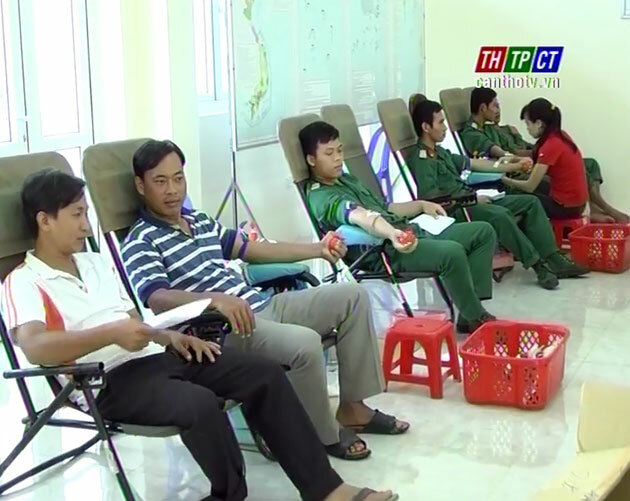 In the morning on July 9th, Cần Thơ City Military Headquarters coordinates with the city Hospital for Hematology and Blood Transfusion and Hospital for Military no.121 to open voluntary blood donation 2016. After examining and selecting, 35 units of blood are donated. From early year to now, the army medical command of the city military headquarters has combined with healthy sector to propagandize, popularize for army officers, soldiers, union members, youths to donate more than 100 units of blood. This is also their good deed, responsibility for community./.